This past Christmas, Denver lost a talented musician and kind mentor, Jaime (Blair) Preston. Jaime created various musical ensembles, including Bad Toby and Reckless Measures. He also joined the Legendary Hitchhikers on stage most of last summer and mentored members of the prog/rock band known as Halocene. M.I.A. will be paying a special tribute to Jaime, raising funds for homeless teens at Urban Peak. 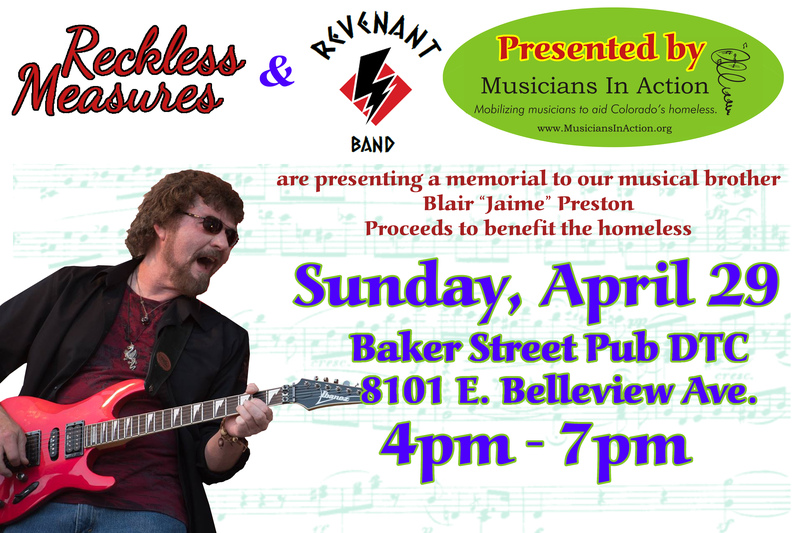 This matinee show will be held on Sunday, April 29th, 4-7pm and feature members of Reckless Measures and Revenant. Please join us for the show!